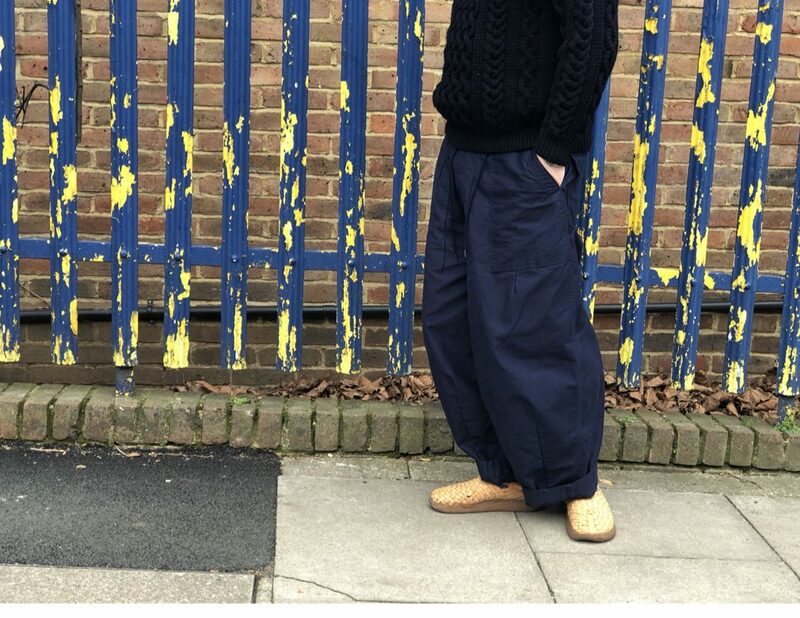 For those not familiar with Needles H.D Pants, they are basically the biggest trousers. 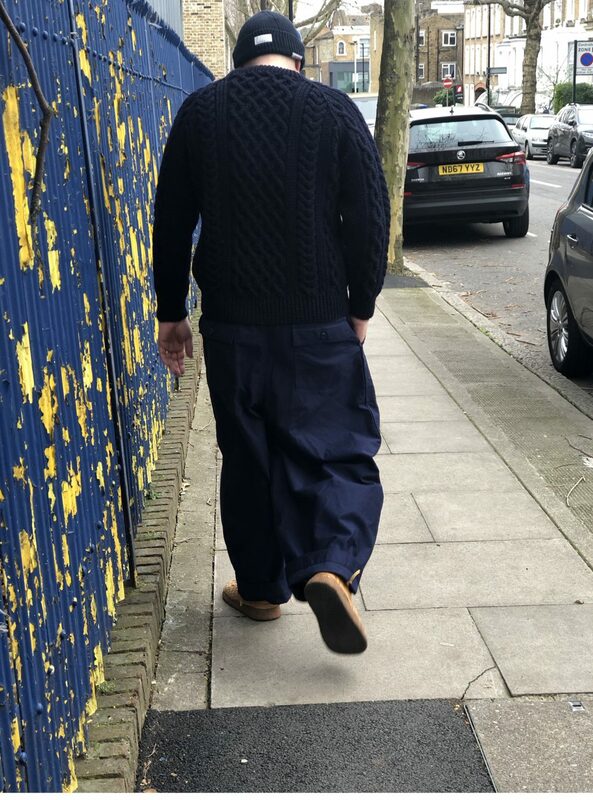 The biggest trousers you will see. The biggest trousers you could draw on a piece of paper a mile wide. They look big on the hanger. On the body, it’s like you are two people; you and the trousers. You’re basically dragging around another you, made of cloth. They’re not just straight up and down big either. H.D Pants balloon out at the front. There’s a dart running a short way from up the hem, seemingly in a vain effort to tether the madness. The result is that you look like a normal sized man with giant knees. They are the biggest trousers I own. Nothing else is even close. My pair is in thick navy cotton and quite robust; they don’t tend to flap about as much as the one’s Needles produce in lighter fabrics. Even as I write this, I’m questioning if getting these was a wise move? Amongst Peckham’s bohemia I can get away with them. Not sure how they’d play up in the Midlands? I expect I’ll find out. On balance it’s probably good for a man to push his stylistic boundaries now and again. I was reading the scribblings of one Adrian Clark (former Style Director of Shortlist) in The Guardian recently. He’s just hit 50, moved to Kent and decided to explain to those of a certain age what they can and can’t wear. No camouflage apparently. No trousers with too many pockets. And no oversized trousers. As someone who is approaching his age I find such opinions tiresome and predictable. 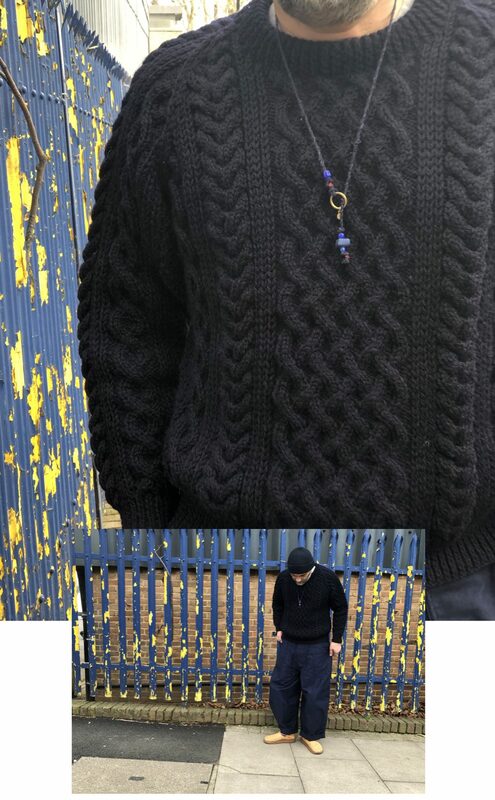 What’s that you say, start wearing rollnecks? I haven’t heard that a billion times before. 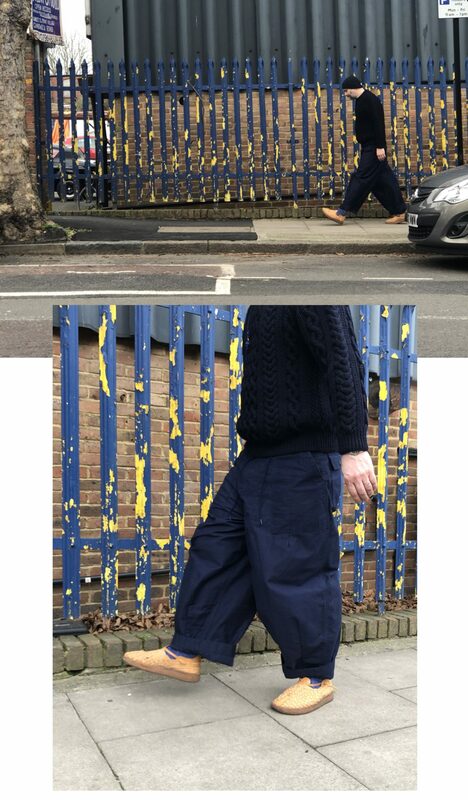 Ignoring the stylistically liberating work done by Rei Kawakubo, Nicholas Daley, Daiki Suzuki and Keizo Shimizu amongst many other, Clark instead chooses to suggest the solution to middle-aged style is a pair of Grenson trainers. 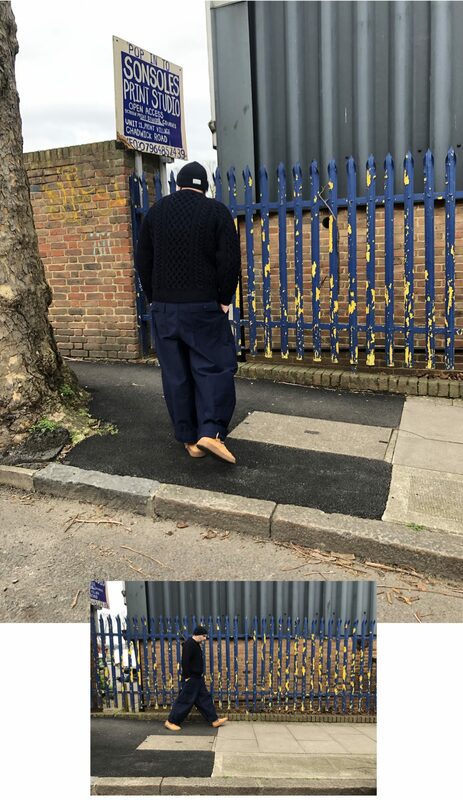 You might be dozing off in Kent mate, but menswear is moving on without you. The only thing out of fashion is your opinion.